Hargeisa , Somalkiland - A communiqué regarding HLPF which will take place in Istanbul Turkey. While Somaliland supports the Somali New Deal process and welcomes engagement by the international community, regretfully Somaliland will not be able to participate in the High Level Partnership Forum in Istanbul for the same reasons that our Government was not able to participate in the previous Fora in Brussels and Copenhagen. Somaliland and Somalia find themselves at very different stages of development in social, political and security terms. Our country’s national needs and priorities are fundamentally different to Somalia’s. Our presence, therefore at the HLPF in Istanbul would not be appropriate. We wish to remind the international community that Somaliland will be celebrating 25 years as an independent country this year and that as a state it meets the full criteria for statehood. Somaliland has overcome a legacy of conflict and civil war, rebuilt its devastated economy, secured peace and stability within its borders, and established democratic governance in the interests of its people. 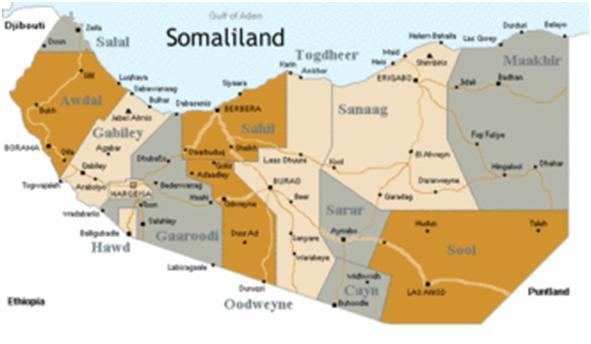 Somaliland has since 2010, developed its own Somaliland 2030 Vision and corresponding National Development Plan (NDP) which highlight Somaliland’s own development priorities; tailored to our specific context and needs. In line with our support for the New Deal process, the Somaliland Government and civil society further prioritized these needs through the development of the Somaliland Special Arrangement (SSA). The SSA was adopted as a guiding document for the receipt of development assistance and forms a distinct and separate component of the broader Somali New Deal Compact. Both the National Development Plan and SSA are due to end this year and are currently in the process of being externally evaluated in line with DAC criteria. The results of this evaluation will form the basis for the development of our new NDP for 2017-2021. Our lack of attendance at the conference should in no way be read as a reluctance to speak with and cooperate with Somalia on an equal basis regarding international aid and development issues. Indeed, as part of the communiques emerging from our ongoing political dialogue with Somalia was the express statement that both parties “agree to encourage and facilitate international aid and development provided to Somaliland”. Our decision also does not mean that we do not wish to continue our important direct engagement with the international community. On the contrary, Somaliland is extremely grateful for the international community’s support and friendship across a whole range of important issues and wishes to continue this engagement through various bi-lateral and multi-lateral mechanisms that include its own High Level Coordination Fora. However, I would like to stress to our international partners, that Somaliland should be allocated a fair allocation of any development aid pledged during the HLPF. The development support given to Somaliland makes a vital contribution to Somaliland’s progress, prosperity and continued security and the impact is clear to see on the ground. Somaliland and its people should not suffer inadvertently for not being present at this Forum. We support the Partnership Principles of the New Deal, and hope to work with the international community in the future to ensure both Somaliland and Somalia emerge as strong, stable and democratic countries.